In 1683, the Wappingers Indians who lived on the fertile patch of land inbetween the northern Hudson Highlands and the Hudson River agreed to sell to one Francis Rombout "all the land that Rombout could see." Taking them up on this, Rombout led them up to the southern summit of the highest mountain in the range—today known as the spot of the Beacon Fire Tower—gestured to the lands splayed out before him, and thus claimed ownership of the site that became the towns of Fishkill Landing and Mattawan, which in 1913 merged into the city of Beacon. Native Beaconites have been suspicious of affluent outsiders ever since. The fortunes of the city have risen and fallen throughout its existence, bottoming out in the 1990s when Beacon was so run-down that it was able to play the part of the godforsaken fictional town of North Bath in the movie adaptation of Richard Russo's Nobody's Fool with minimal set dressing. But while the film captured Beacon at its worst, it also was the first step on a long road that led to the city's current resurgence. Artists soon moved to the city, opened studios and galleries, and banded together to form the still-going "Second Saturdays" celebrations that take place every month. The Dia Art Foundation opened a light-filled, cavernous museum dedicated to large-scale works down at the waterfront. Suddenly, Beacon had actual tourists visiting. Most of them simply took Metro-North up from New York City, walked over to the Dia from the train station, and then took the train back, but it was a start. It took the city and the Dia a few more years to figure out how to get people up the hill to Main Street, but once the empty storefronts on Main Street started filling up, the traffic never stopped. Beacon today is unrecognizable from the run-down town of vacant buildings and broken dreams that Paul Newman sauntered through in Nobody's Fool. 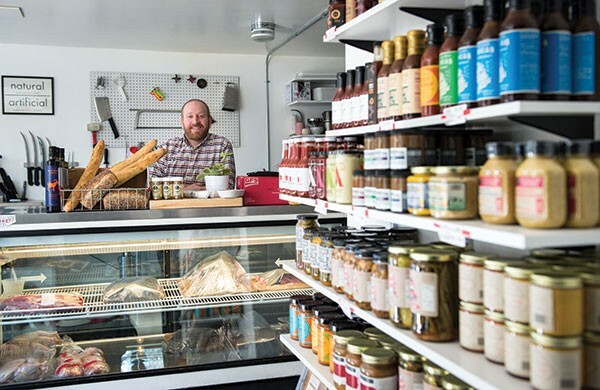 In the blink of an eye, many of the businesses that opened up in Dia's wake—Artisan Wine Shop, Beacon Bath & Bubble, Max's on Main, Mountain Tops Outfitters, and Beacon Pilates among others—are suddenly celebrating their 10th anniversaries this year. Poppy's Burgers and Fries has cemented its place as the Hudson Valley's premier burger bar. Even longtime, infamous empty spaces on Main Street are now thriving. The old DMV office is now the home of the Towne Crier Cafe, bringing heralded food and heralded superstars like Rickie Lee Jones and Ani DiFranco to town. A block away, former breakfast hangout spot Quinn's Restaurant has transformed into...Quinn's Restaurant. The name and decor are the same, but instead of apple bread and pancakes, the place serves up authentic ramen, craft beers, and live performances by Thurston Moore and Marc Ribot long into the night. Even the eternally empty spot on the middle of Main that for years had nothing in it but a sign promising that a Chinese restaurant was coming "soon" is now Baja 328, a stylish Southwestern restaurant with over 100 Tequilas. One of the main reasons the city's dining and bar scene have continued to improve is because the quality of local ingredients has continued to improve as well. Many restaurants get their produce from nearby Common Ground and Obercreek Farms. 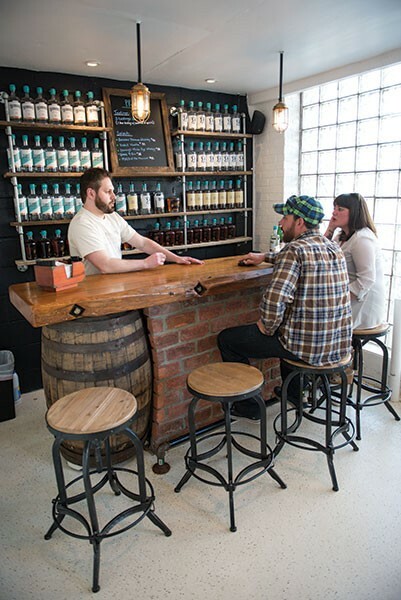 Hard liquors are made in town at the Denning's Point Distillery, and the city is about to get its second craft brewery courtesy of the Hudson Valley Brewery, currently being constructed at 7 East Main Street. 2 Way Brewing Company, the city's first brewery, opened in September, 2014 and maintains a taproom on West Main Street that's open for tasting Thursday through Sunday, With Barb's Butchery at the end of East Main Street, Marbled Meat Shop on Route 9D in Cold Spring, and Marbled's new sandwich outpost Stock Up on Beacon's Teller Avenue, the Hudson Highlands have become the meat capital of the Hudson Valley, with all three stores serving only meat from local, family farms and also making their own sausages, bacon, hot dogs, and other carnivoracious delights. And Beacon-based educational programs like the Green Teens and Hudson Valley Seed are teaching the next generations of Beaconites the importance of locally grown food and how to plant their own gardens. All this newfound cultural capital was too much for one city to hold, so it's not surprising that some of it has flowed south to the villages of Cold Spring and Garrison, two formerly sleepy communities that are through being condescendingly described as "quaint," thank you very much. 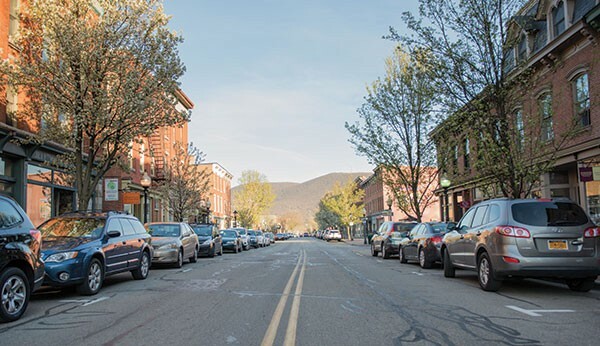 Many a Beaconite, seeking refuge from the art-starved mobs that descend upon Beacon every Second Saturday, has fled for the day to relax in the equally excellent galleries on Main Street in Cold Spring, only to bump into scores of their neighbors who had the same idea. You can now pick up an indestructible Yeti cooler, a growler of craft beer, and a bevy of locally and naturally made skin care products while hopping from antiques shop to antiques shop. The Cold Spring Depot is under new ownership with a new menu, and it remains the best restaurant in the Hudson Valley to bring a train-obsessed toddler to. The villages' own cultural institutions are also beginning to expand. The consistently critically adored Hudson Valley Shakespeare Festival has begun adding year-round programming in addition to their usual sold-out run of classics performed on the grounds of Boscobel. The Russel Wright Design Center at Manitoga now hosts renowned artists-in-residence to present new works specifically for the grounds and hiking trails of the museum. And last year's inaugural MAYfest, its name referring to both the month that it takes place and the fact that it centers around Music, Art, and Yoga, returns to Camp Surprise in Cold Spring this month for another three-day holistic hootenanny. 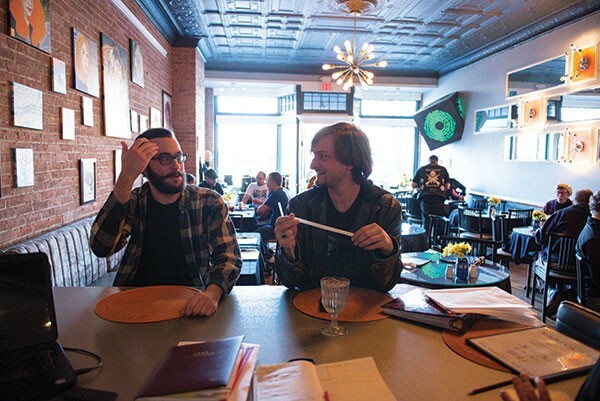 Throughout its resurgence, Beacon's indomitable spirit has often been likened to the unyielding optimism and inexhaustible energy of its most famous resident, the late folk icon Pete Seeger. But Beacon isn't just Seeger, it's also Sully, Newman's gruff rascal from Nobody's Fool—wary of everyone, one step ahead of trouble, but possessed of a heart of gold. The city will need both Seeger's vision and Sully's cynicism as it faces down its newest challenge: its own success. Beacon is bursting at the seams, and outside investors are descending on it in droves with a slate of controversial real estate projects: a row of condos near City Hall that would block the view of the river, a building on the vacant lot at the corner of Main and Eliza that would be taller than any other building in the city, and the gutting of the historic Beacon Theater for apartments. While the plan for the theater involves the construction of a 200-seat black box performance space as well, many Beaconites worry that the destruction of the current 800-seat space will put an end to the current era of cultural growth, eliminating the city's last chance to build a badly needed large-scale-performance and event space. Then again, these were the same grumblings that accompanied the advent of the Dia, the Roundhouse hotel and restaurant, the flurry of new bars and nightclubs that have come to the city in the last 10 years. All of these have brought success despite skepticism. Even the long-gestating plans to restore the historic incline railway, which once shuttled tourists up the slopes of Mount Beacon during the city's last gilded age in the 1920s, have picked up enough support and enough funding that the project has now transformed from "inconceivable" to "inevitable." So if Beacon's success becomes too much for locals to bear, soon they'll be able to take a train up the mountain to get away from it. Just as long as they don't hike up there with any out-of-town developers. Last time that happened, it didn't turn out too well for the natives. Hudson Hil's in Cold Spring.